AT HOME WITH YOU was founded by Christina Urbanski, RN, BSN. 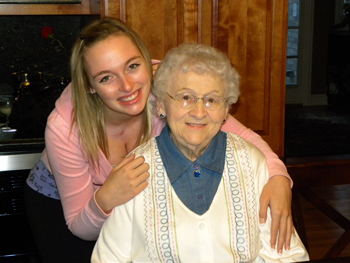 After taking care of her elderly aunt in her home for over 7 years, and managing her career and family; she saw how difficult it was to balance all of these responsibilities. She worried about who she could trust to help take care of her aunt, and was dismayed at the lack of Caregiver education and support. With over 15 years of experience as a Registered Nurse in the home health care field, she also saw the great need for quality improvement, increased training, and improved supervision of home service Caregivers and agencies. Her mission is to promote independence, improve a client’s overall well-being, and provide the highest quality of care, with dignity and compassion; allowing a person to remain safely in their home, wherever that may be. 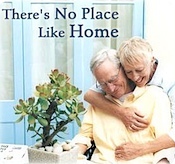 What sets AT HOME WITH YOU apart from other agencies is our Home Health experienced RN managed care. We provide personalized care that not only meets a client’s physical needs, but addresses their emotional well-being and happiness as well; with Caregivers that are extensively trained and supervised by a Home Health experienced Registered Nurse above and beyond the current regulations. We carefully select Caregivers that we would want to take care of our family members and provide them with the resources and training to take care of your individual needs. Training and education does not end with Caregiver orientation; we provide a variety of ongoing continuing education courses and support to meet our client’s specific needs. Become a part of our family and let us show you what a difference we can make AT HOME WITH YOU!